The pill is just a small metal pellet with a hole drilled trough it. They can be removed from the factory hose and inserted into your new silicone lines. 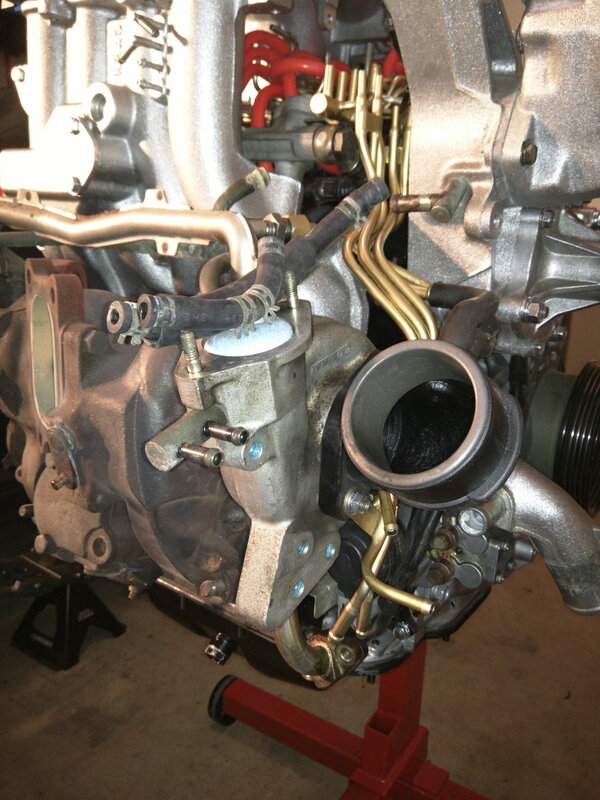 As Sgtblue has indicated they are in the two lines that come off the primary turbo compressor housing. Don't mix them up when you do the hose job. The holes in the pills are not them same size. 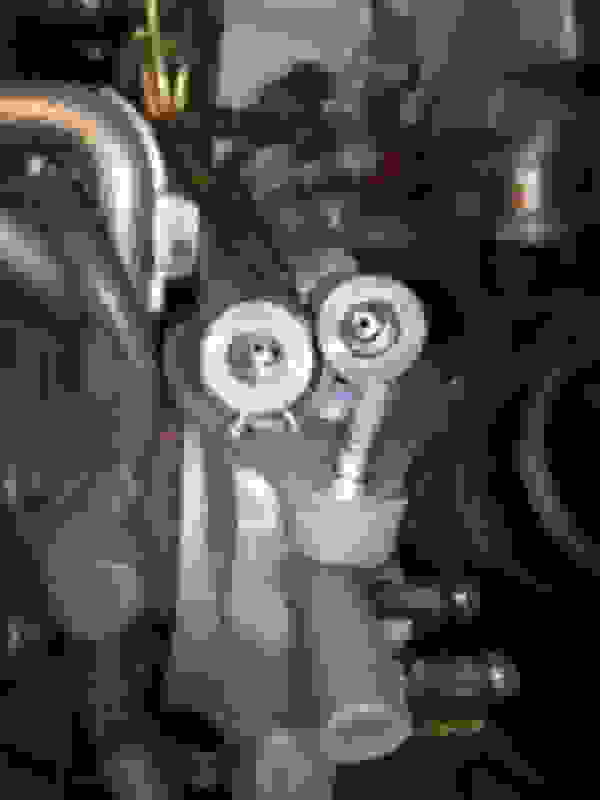 Also...my stock '93 didn't have any pills in the lines, they were built into the turbos. So if you don't find any pills in the lines, don't freak out....they are likely built in. Bajaman - Not positive, but I don't think "stock" '93 ever had pills built into the turbo? 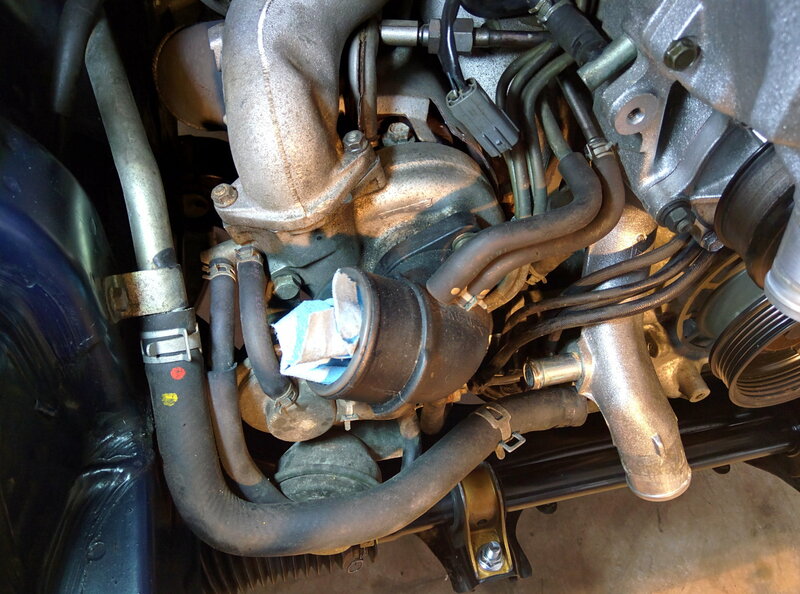 Also, RR93 - Make sure you understand what is in your car before you start. If the car has been previously modified, the pills may have been removed or redrilled. If this were the case, do not put stock pills back in the system! I bought mine from malloy mazda they were only like $15 a piece I think. I understand that for single turbos, they also need restrictor pills. How and where do I get them and how do I install it? You can use nitrous jets, just find the size you need. Any local hot rod/mustang performance store will have them. No, restictor pills for single turbos are referring to restrictor pills for the oil lines. Typically this is for ball bearing turbos but is often used in larger journal bearing turbos also. What you are referring to is completely different than what is being referred to in this thread. What you are asking about is installed in the oil feed line(line from top driver side of block to turbo oil feed). Rx7store sells a line and restrictor that should work for you setup, if you are running a 67mm or smaller journal bearing turbo you likely will not need one. Bringing an old thread back from the dead to add some pictures because it's one of the first search results on this topic. The two lines coming off of the front Turbo have the pills in them. This is from a 93 FD. Where are there restrictor pills/orfices? ?